Momo e liquid were a welcome, suprise addition to Vape Expo 2016. Made in the UK this e liquid is extremely tasty and provides excellent value for money. 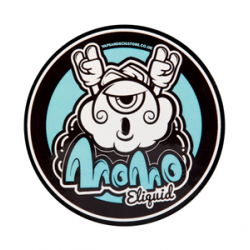 Momo e liquid brings you premium e liquid at an affordable cost. We create top shelf e liquid leaving out any ingredient we would not vape ourself. Every bottle is crafted using the best quality ingredients to ensure you a wonderful vaping experience. Welcome to MOMO. MOMO is fully TPD registered. Momo Lemon Drizzle E Liquid Tantalise your tast..
Momo Tropi-Cool E Liquid A smooth and delicious..
Momo Lime-Berry E Liquid Indulge yourself in th..